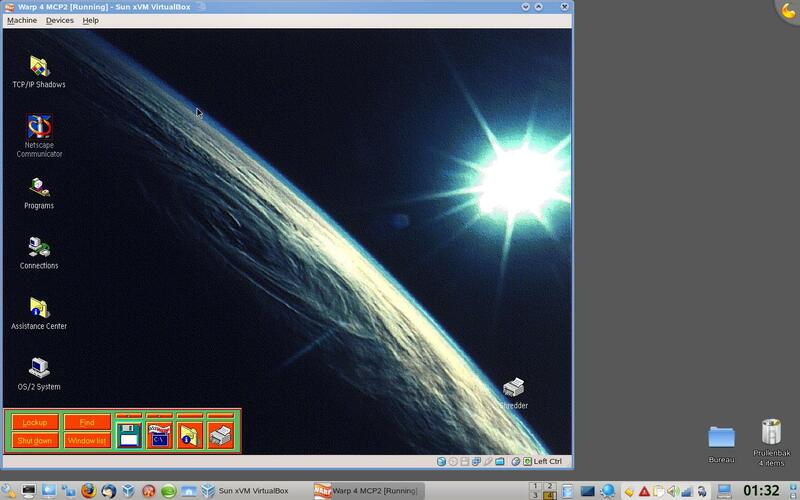 Virtualbox is great for virtualizing Windows and Linux. That's all well and good, but they get boring after a while. The drop-down list in VBox has OS/2, Solaris, BSD, Netware, L4.. Yay. There's also that.. "Other/Unknown" option. Hmm.. What "Other/Unknown" OSs have you tried in VBox? Stability: Decent, but leave VT-x off! Note: virtualbox.org cannot properly render in nine year old web browsers. Stability: Good, tho it did BSOD my host once, might have been VT-x on at the time. Note: Rhapsody is one of the development platforms Apple released during the design and development of OS X. It is basically OpenStep with OS 9 stylings. It also marked an early interest Apple had in the Intel platform, as this is an X86 version, circa 1999. Speaking of OS 9, let's cheat. 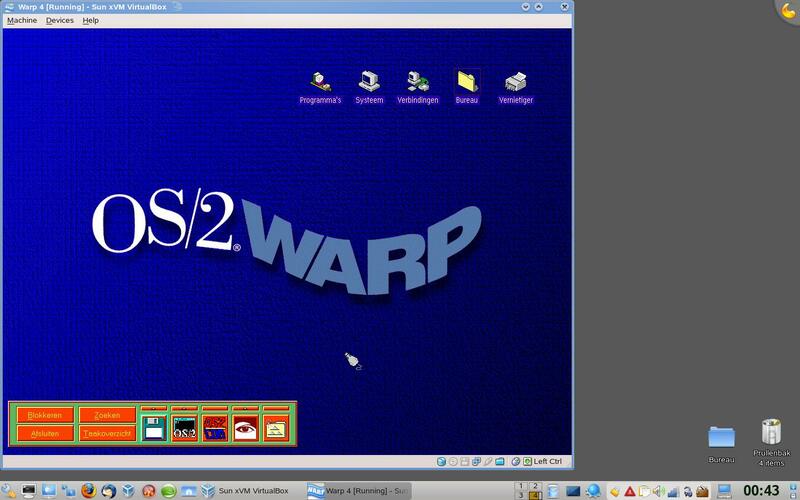 Windows 2000 guest running Mac OS 9.0.4 under SheepShaver, a PPC emulator. It runs as well as can be expected. SheepShaver is very glitchy and unstable, and crashes seemingly at random, but the speed in a VM is about the same as running it straight on XP64. I run it in a VM since SheepShaver can't do networking in XP64. Well, it's really good that you provide such detailed info & screenshots. I appreciate that very much ! NOTE: Putting Mac OS 9 in this list is technically incorrect, because in this case you use dual-virtualization layers, so you don't test Mac OS 9 on VirtualBox, rather you actually test only "SheepShaver" and Win2000 on VirtualBox - only first layer after the VirtualBox. And thank you for your information. Ah very nice, Plan 9! I tried to get that going in the VBox 1.5.2 days but never got the GUI to start. I also realized I had nothing to really do on it so I lost interest. Hah! I know exactly what you mean - after all the fanfare of getting it running, there is oh so very little to be done with it. Having a much better time with Fedora 8 and Solaris 10. Tried GeexBox - a multimedia, bootable CD. But it didn't really work. I could easilly be doing something wrong. Install: Froze up on the first attempt, worked fine on the second attempt. Settings: 128MB RAM, 8MB video RAM, ACPI enabled, VT-x disabled, OS didn't have a clue about the video card or monitor but let me use up to 1024x768x32 anyway. Support: Didn't test the video much, OS doesn't have sound support at all, didn't test networking. Speed: Feels pretty quick, but then my PC is quick too. Stability: A bit glitchy, but then this is alpha quality software. Hasn't crashed so far. 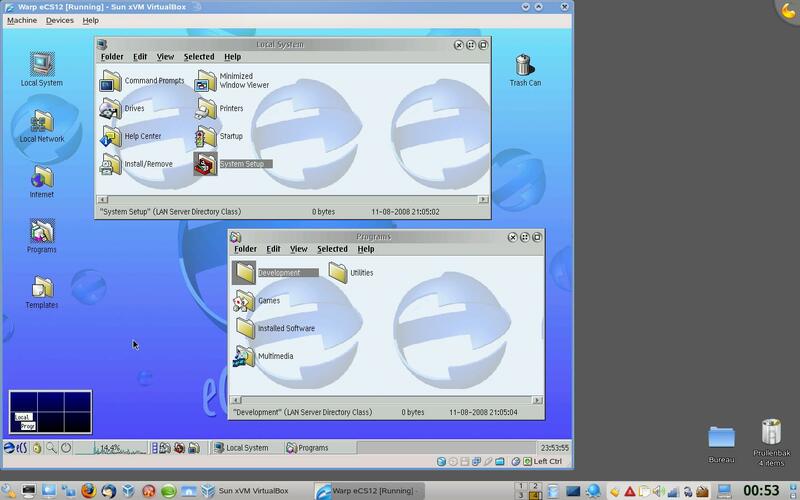 Note: While the ReactOS download page lists four possible emulators to run it on, VirtualBox isn't there! Seems fine to me though. Install: No install needed, I ran it straight from a pre-made HDD image. Settings: 128MB RAM, 8MB video RAM, ACPI enabled, VT-x enabled, uses 1024x768x32 (the maximum it'll allow) by default. Support: No idea about the video, sound doesn't seem to work, didn't test networking. Speed: Takes a surprising amount of time to load, and the interface feels pretty sluggish. Note: This image was specially made for VirtualBox, so it's not surprising it works well. Enabling VT-x/AMD-V was a suggestion I got from the Haiku development tracker, it apparently crashes on booting without it. Is it at all possible to run a Mac OS on VirtualBox? For example Mac OS X Leopard. I'd like to learn the OS as much as possible but don't want to go buy a new machine. I see above someone did a workaround with an emulator......is this the only way? /edit Found a thread talking about this. 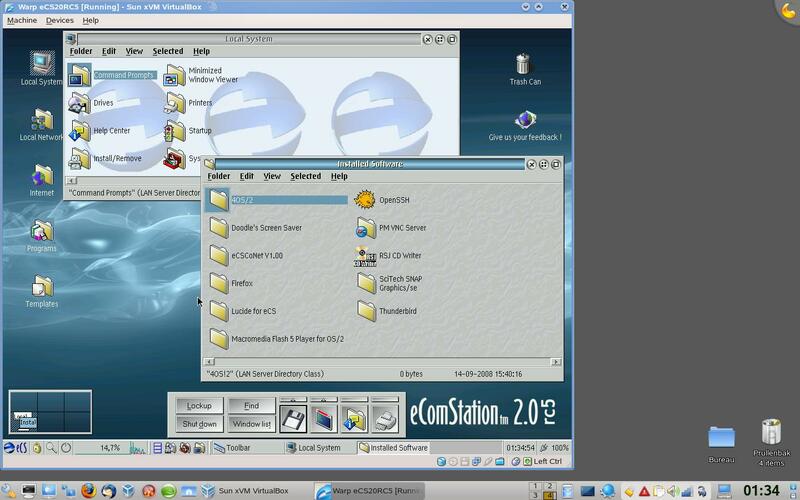 I was able to get ReactOS started, but when I attempted to install the Guest Additions, the process got stuck just after extracting files and attempting to stop the Vbox Service. I'm running OpenSuSe 11.0, 64-bit version. I also could not see how to load a web browser -- any web browser. NT 3.51 Workstation. Am I the first? Probably not. Oh well. I used the Windows NT 4 OS setting, 64mb ram, 2gb disk. Remember the NT 3.51 CD isn't bootable, you need to use the boot floppies. Installer auto detects the network card fine. DHCP works, not sure if you NEED to manually configure the gateway and DNS but I set 'em to 10.0.2.2 and 10.0.2.3. Gateway works, can't test DNS. No nslookup client or proper web browser. I could not telnet out of the sandbox or access SMB shares. Standard SB16 driver included works. You'll have to open Control Panel and add the driver manually. It will complain about MPU not being found, select "disable" from that drop down and it'll work. For video, once you install the VGA driver (during setup or in windows) it'll show only 640x480. Reboot and it'll show a slightly better 800x600. Download the drivers (I used the unstable ones). From the driver archive, get vbe20\nt35x\* and get framebuf.dll from your WINNT dir or disc (use expand.exe on i386\framebuf.dl_) Put all four files together in one directory and get them on the VM somehow (if you don't have networking make a floppy disk image with the files on 'em... I used WinImage). For some reason the installer wants framebuf.dll. Don't give it the one on the website (that's for NT4!). Navigate the control panel labyrinth and tell Windows where your "Other" Display drivers live. Turn up the screen res and bit depth! Tried running the VBox Guest Additions installer. Surprisingly it runs, though not very well. NT 3.51 is fun to look around in, it showcases the first appearance of some dialogs and features that are still present in XP and Vista. Console Property dialogs, Display property dialog, merging of Network Setup and Control Panel, a shutting down dialog box, etc. If you can't get networking to work download a trial UltraISO or something and stick it on an ISO. You gotta copy it to your HD though cause the updater is gonna want the Windows NT disc. [Edit: I got farther in the VBox Guest Additions installer, just for kicks. Install the latest hotfixes from ftp://ftp.microsoft.com/bussys/winnt/wi ... s-postSP5/ after installing SP5 (install in ascending hotfix order... pscript and sfm fixes may not apply to you if you have no printer/mac networking). As the notes say, NT now acts like it's NT4, so the installer will get farther. I want to tell about Game Mapping can not work on ATI Drivers. I have been inventted a trick of VGA Support for using function. a big Thank for VirtualBox. I want to ask you, when Mac OS X can work on VirtualBox? Can it not? For those who are struggling: yes, it can be done..! Installing eCS the standard way is impossible...but a detour can be taken to get it up and running..!